Written in a clear and concise style, this new seventh edition of this popular and highly respected title has been fully updated to take account of the various important developments in legislation and case law that have occurred since the previous edition. 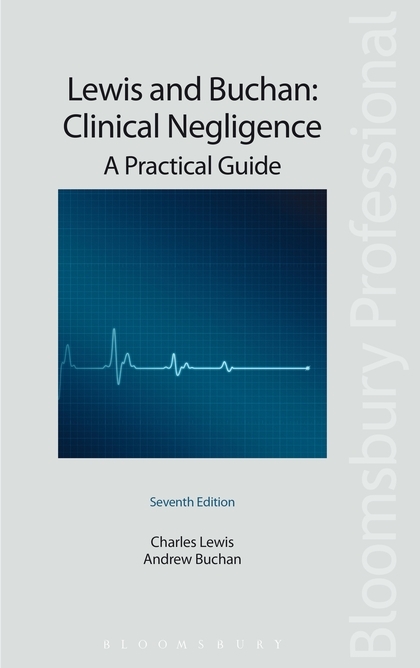 Practical and accessible, it provides practitioners with a structured background to the law and guidance to the various stages through which claimants and their lawyers must progress in a claim for clinical negligence. This information is supported by numerous case illustrations along with practical guidance on procedure. 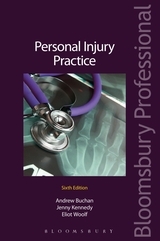 A 'must-have' title for all practitioners specialising in this complex area of the law. - the NHS Redress Act 2006. Chapter 1 Introduction; Chapter 2 The structure of the National Health Service; Chapter 3 Non legal remedies; Chapter 4 Legal remedies; Chapter 5 The duty of care; Chapter 6 Breach of duty and strict liability; Chapter 7 Causation and damage; Chapter 8 Foreseeability and remoteness; Chapter 9 The proof of negligence; Chapter 10 Consent; Chapter 11 Wrongful birth; Chapter 12 The Congenital Disabilities Act 1976; Chapter 13 Psychiatric injury; Chapter 14 Economic loss; Chapter 15 Procedure to service of proceedings; Chapter 16 Procedure from service to trial; Chapter 17 The inquest; Chapter 18 Limitation; Chapter 19 The medical records; Chapter 20 Experts; Chapter 21 Human rights; Chapter 22 Court of Protection and issues involving capacity; Chapter 23 Wales; Chapter 24 Funding; Chapter 25 Costs.